The Anterior Cruciate Ligament is extremely important to all, as this ligament controls rotational forces in the knee. If this ligament is torn, sudden changes in direction become nearly impossible. Prevention of injuries to the ACL should be part of every training regime. Are Women At Higher Risk of ACL Injury? The causes of ACL injury have recently been the focus of research. Factors contributing to ACL injuries include ground hardness, grass type and cleat type. But one of the other major findings is that women are nearly three times more likely to have ACL injuries than men. And some statistics says that a female soccer player is eight times more likely to injury her ACL than a male soccer player. Statistically, participants in women’s basketball and soccer are at a higher risk to tear an ACL. 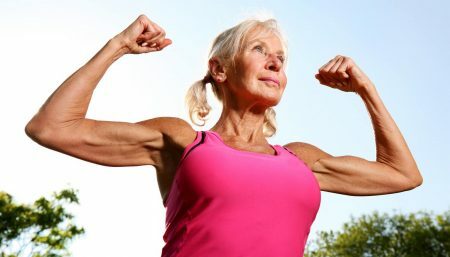 So it’s even more important that women find some form of affordable health insurance, since they are more likely to become injured from participation in sports. lack of proper training at a young age. Findings have show a difference in neuromuscular control in women when landing jumps (women appear to have less hip and knee flexion than men). Most experts believe that the incidence of ACL tears can be lowered by instituting some simple changes in the training of not only female athletes but all athletes. General sports training should be centered around a properly periodized strength, flexibility, and aerobic conditioning program. The program should be planned so that the athlete progresses through specific phases of conditioning culminating in peak performance at the end of the sport season. The goal should be for the athlete to peak physically and mentally for the playoffs. The strengthening phase of the program focuses on increasing leg strength. This will lead to increased leg strength and a more stable knee joint. Technique is everything; close attention must be paid to the performance of these exercises in order to avoid injury. The balance of power and the recruitment pattern of the quads and hamstrings have been shown to prevent ACL injuries. 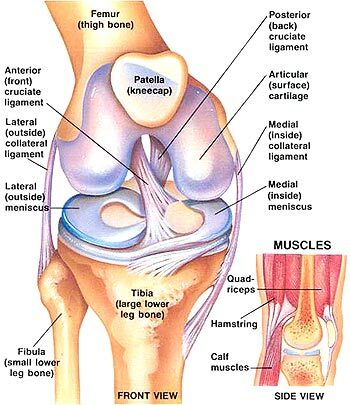 The quad muscles are an ACL antagonist, that is they place stress on the ACL when contracting. The hamstrings are an ACL agonist, removing ACL stress when contracting. Due to this, if the hamstrings are excessively weak or inflexible they may not adequately protect the ACL during a strong quad contraction. Also, if the quad group is excessively strong, relative to the hamstrings, the ACL may be torn due to a lack of hamstring “protection.” ACL injury prevention should then focus on a balance in strength between the hamstrings and quads. It is recommended that the hamstrings should be 60 – 80% as strong as the quads. Also, proprioceptive exercises should be utilized to improve the neuromuscular recruitment patterns of the quads and hamstrings. The strength program should focus on the exercises that result in increased hamstring strength and flexibility as well as coordinative jumping exercises (plyometrics). During the first few weeks of training the emphasis should be on teaching proper jumping and landing techniques. The athletes should be taught to land on the balls of the feet with the knees flexed and the chest over the knees. They should be constantly reminded to avoid any excessive side-to-side or forward-to-back rocking of the knees upon landing. Valgus (inward) movement of the knee upon landing should also be discouraged. Proper body mechanics should be the goal. Weight room activities should focus on exercises that improve hamstring strength and coordinated firing with the quad muscle group. Examples of these types of exercises are: hamstring curls,squats, power cleans, and dead lift. As with the plyometric exercises, proper technique should be taught prior to increasing the load. Be sure that the trainee’s hamstrings are 60 – 80% as strong as the quad muscles; that is, if the athlete can perform a 1-leg knee extension with 100 pounds they should be able to do a 1-leg hamstring curl with 60 – 80 pounds. Lunge forward leading with your right leg. Drop the back knee straight down. Make sure that your keep your front knee over your ankle. Control the motion and try to avoid your front knee from caving inward. If you cannot see your toes on your leading leg, you are doing the exercise incorrectly. Kneel on the ground with hands at your side. Have a partner hold firmly at your ankles. With a straight back, lean forward leading with your hips. Your knee, hip and shoulder should be in a straight line as you lean toward the ground. You should feel the hamstrings in the back of your thigh working. Repeat the exercise for 3 sets of 10, or a total of 30 reps. Stand up with your arms at your side. Bend the left knee up and maintain your balance. Slowly rise up on your right toes with good balance. You may hold your arms out ahead of you in order to help. Slowly repeat 30 times and switch to the other side. As you get stronger, you may need to add additional repetitions to this exercise to continue the strengthening effect of the exercise.